CHANGEUP FEATURE! Fastballs up to 70 mph and changeups at speeds as low as 44 mph. Now available with or without transport cart. 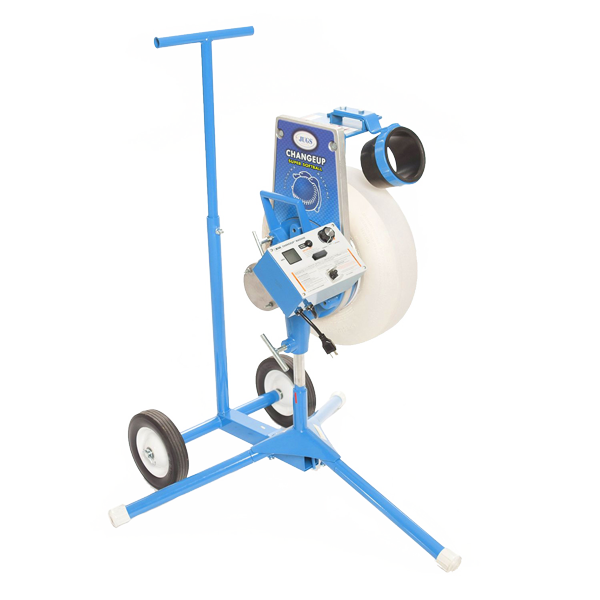 In a National survey, 94.8% of all softball coaches polled asked for a change up machine - and we listened. Introducing the Next Generation of JUGS Pitching Machines! 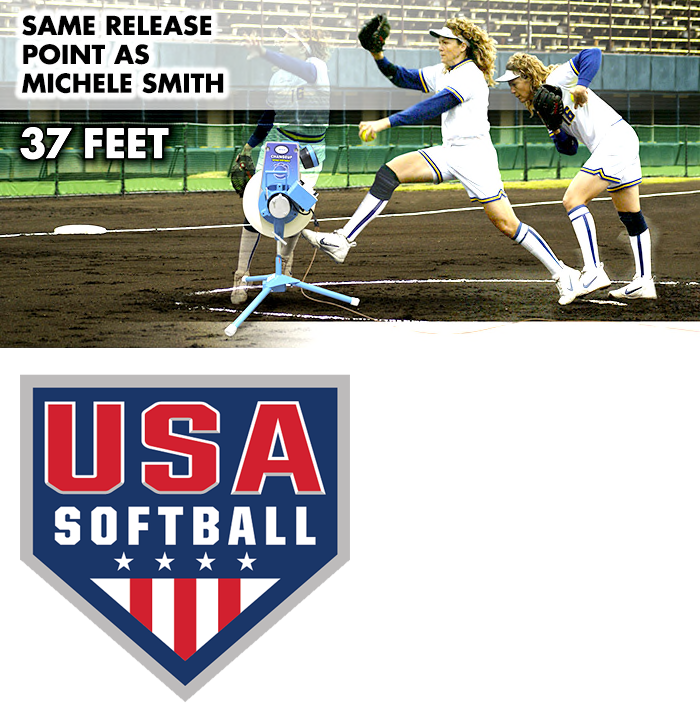 The changeup feature and higher speed range, 44 mph to 70 mph, is designed for the advanced softball player. For optimum performance, when using the fastball/changeup mode, your machine must be 37 feet from home plate. By changing the speeds at the press of a button, without the hitter knowing it, batting practice simply isn't automatic anymore. 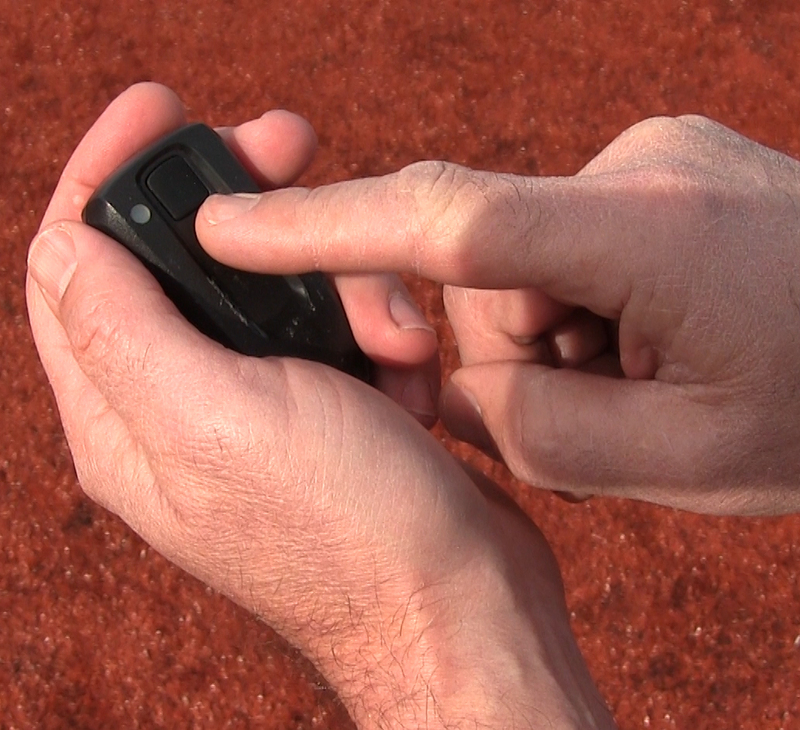 Switch between fastballs and changeups with the touch of a button using the hand-held Remote Control. The Remote Control can be used at the machine, behind the hitter or even in the dugout. Throws these ball types: 11" or 12" softballs, JUGS LeatherLast™ Softballs, JUGS Sting-Free softballs, JUGS Lite-Flite softballs, JUGS Softie softballs and the JUGS Bulldog polyballs. 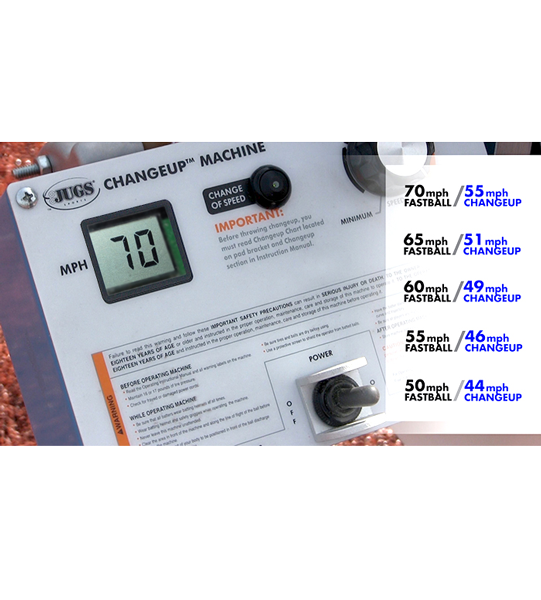 The JUGS Changeup Super Softball Pitching Machine is proudly the OFFICIAL Softball Machine of the ASA and USA Softball Teams. This machine is incredible, a must for any hitter or team wanting to improve their batting averages and ability to hit changeups. Trusted and used by the very best at every level of softball. 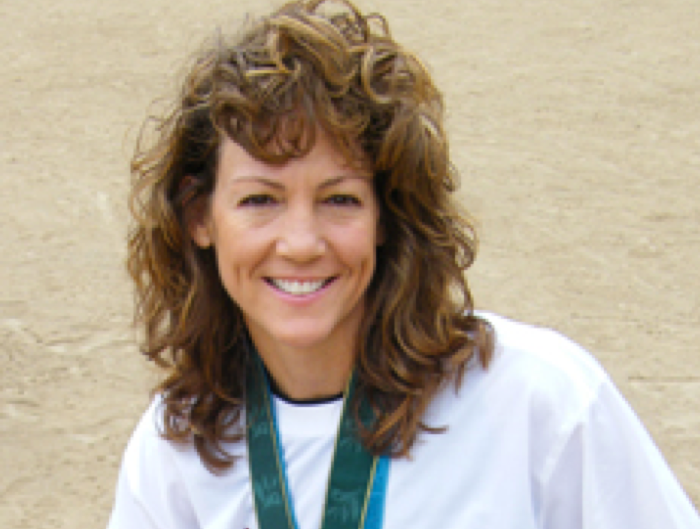 Don’t just take our work for it—hear from future Hall of Famers and Olympians. Great machine with changeup feature. Have the remote in my pocket and works great. Girls do not know off-speed is coming and it keeps them "honest" rather than knowing a fastball is always coming. Would recommend! Cart makes moving the machine 100% easier too!